This post is LONG overdue, but I’ve been putting off posting for the day I finally launch this new blog instead of posting it on Tumblr. I had a lot of technical difficulties that held me back; it actually took months to put together! 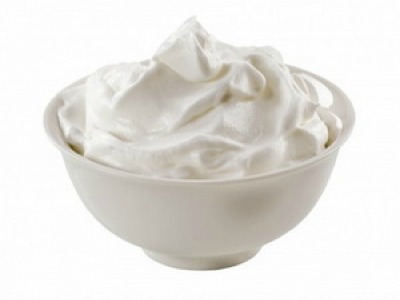 Anyway, back to my whip cream celebration. I used to follow a high carb, low fat diet until I discovered paleo. Then, I discovered keto. I did some research until I was fully convinced that the keto-Paleo lifestyle was for me. But one step at a time, right? My plan(which will not be fully carried out yet) is to cut out wheat, legumes, corn and gluten, followed by processed foods and then dairy. I do it this way because I LOVE milk products! I mean, how can I say no to English clam chowder? Or cream of mushroom soup? Or even whipped cream itself? I could eat this thing by the spoonful. I could make keto cereal with this! Yeah, forget regular tasteless milk with 12g of sugar, I’m going full fat, all creamy and none of the carbs here! I ended up doing exactly as I said. The next day, I got out my blender and whipped up a batch of pure whipped cream. And ate maybe 10 tablespoons of it before starting to feel a little “creamed”. I think it must’ve been exam week because my parents and siblings had school, so I had the house to myself. To switch up from the usual HIIT workout I would have, I did something different in hopes it would surprise my body. Cardio-Ballroom Dance with Julianne! She’s a fantastic dancer from dancing with the stars. Jive, cha-cha, and paso doble were the dances I grove to. Something weird happened the next day. My legs were sore. I don’t know why–it didn’t even work me as hard as running or HIIT does. Maybe it’s because I ran the day before and it took a few days to kick in…who knows? I just had great fun doing this workout. I hope Julianne makes a second DVD. Do you do dance cardio? This entry was posted in Uncategorized and tagged cardio, dance.